The only thing that's better than being sat in a good London boozer with a pint in hand, is being sat in a good London boozer with a pint in hand and your best furry friend at your feet. Many pubs in London welcome dogs, so here we've picked the exceptional ones; some are close to great walking spots, some have ample gardens, and others lay on welcoming treats for your pooch. 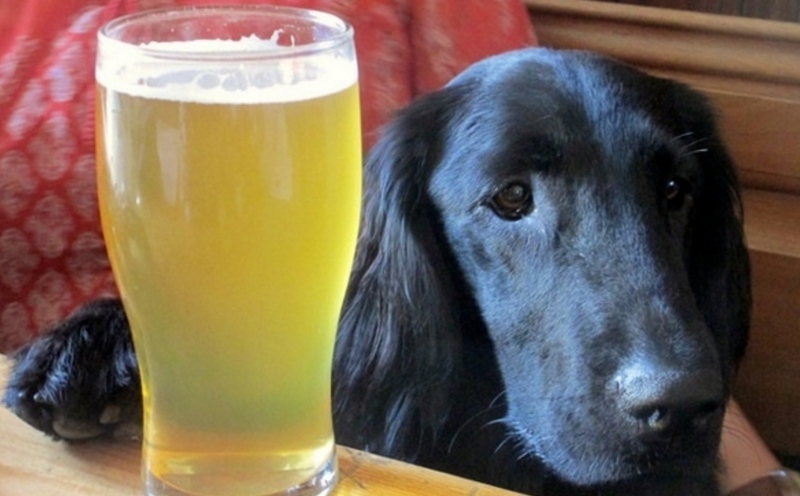 A few have their own pub dogs too — a sure sign that yours will be treated well. Central London offers a surprising number of pubs to please dog walkers: branch off to the backstreets of Euston to find Somers Town Coffee House, where we came across a dog nursing a pale ale last time we were there (see main image for proof). Another tucked-away bolthole is The Queens Larder in Queens Square, Bloomsbury, where they'll happily sate your dog's thirst, as well as your own. If your dog's well-behaved, they may get a treat too. Strolling past Smithfield's meat market is tough for any dog to do without going nuts; reward them at The Castle on Cowcross Street, where we hear the staff will lavish your pooch with water and petting. And you know a pub loves dogs when it offers them free Sunday dinner: such is the setup at the Horse and Stables on Westminster Bridge Road (owners must buy their own roast first, mind). Turn up at the Narrow Boat in Islington, and your dog will be pampered with blankets and biscuits. They'll be treated similarly at the nearby Mucky Pup (although if you're a beer connoisseur who hates rock music, maybe slip this one). The Bull and Last teeters on the southeast tip of Hampstead Heath and rewards walkers with pork scratchings and crisps (you) and pig's ears and marrow bones (your canine). Way oop north in Barnet is the Black Horse, surrounded by decent dog-walking parks, possessing an ample garden of its own, and more than happy to host you and your pet. They make their own beer too. The White Horse in Harrow on the Hill, meanwhile, is an unpretentious Fuller's pub with log fires in the winter that both you and your pet will want to curl up in front of. After a bracing stride through Peckham Rye, Nunhead's Ivy House is the perfect pub for you and your companion to be refreshed; there have been dog-walkers in attendance every time we've been here. On the other side of the Rye, call in to say hi to pub dog Clarence at The Bishop. Over in Wimbledon, dogs and their human counterparts will appreciate the Leather Bottle's proximity to Garratt Park, as well as its sprawling garden in the summer, and open fire in the winter. If you and your chum are roaming nearby Blackheath, a pit-stop at the Hare & Billet is a must (ask for water bowls). 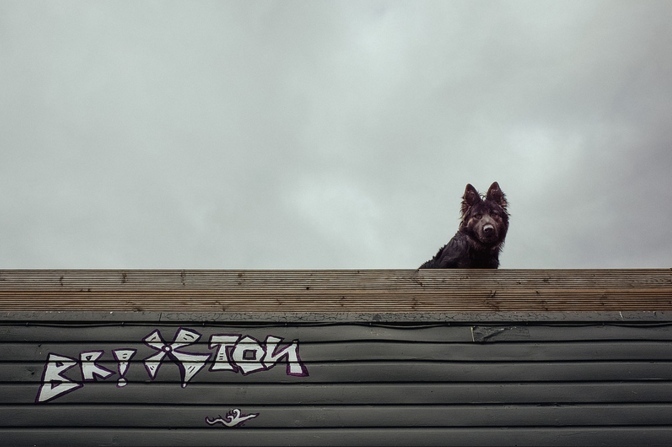 And we could hardly cover south London dog pubs without mentioning The Windmill in Brixton; its mascot is the semi-legendary 'Roof Dog' — you can get t-shirts and everything. The Horn of Plenty in Stepney Green does free dog treats — there's a jar of them on the bar. Like your long walks in the east? The Pembury Tavern is a stone's throw from the Hackney Downs, and will welcome your four-legged brethren with open arms (while they play with a tennis ball, you can get stuck into the bar billiards). Another fine east London dog-walking pub is the People's Park Tavern; perched on the edge of Victoria Park, it also happens to be make some of the best microbrewed ale in the city. 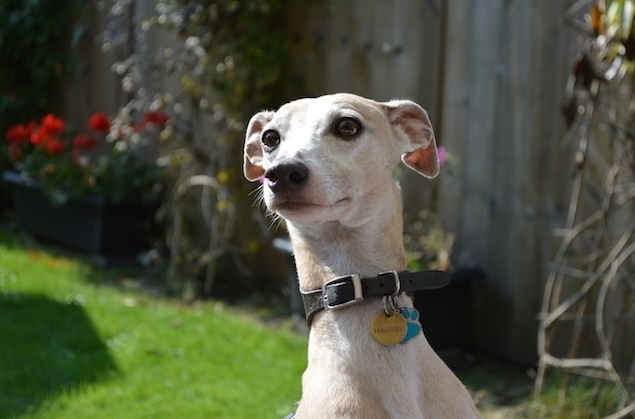 Otherwise, choose The Kenton near Homerton, which lays on water bowls and doggy biccies. If a stroll along the canal is the order of the day, call in at pub-theatre the Rosemary Branch in Hackney, where we've spotted many a happy pooch before, and where you may spot Frida the Hungarian Puli and Pipperty the Lurcher. Just be warned: dogs aren't allowed to go upstairs, no matter how much they adore fringe theatre. In 'central' west London, The Builders Arms knows how to lure in dogs and their owners, with water bowls, biscuits and friendly staff (as a rule, Geronimo pubs are all pretty good at this). The Champion on Queensway has Hyde Park on its doorstep, not to mention resident Bassett Hound Blossom. Not only does the Fox in Hanwell extend a warm welcome to pooches, it's within walking distance of Osterley Park, home to the Great British Dog Walk. Meanwhile, The Brown Dog in Barnes brings joy to all and sundry, what with its juicy pig's ears and equally juicy roast dinners. The pub sign shows a man walking his dog, so you know you're in good company. Way out west, in Teddington, is The Anglers, a bucolic riverside pub, that's welcoming to dogs and comes complete with a massive garden. A similar waterside watering hole can be found in Fulham at The Crabtree (just be warned it's full of footie supporters on match days). Your favourite dog friendly pub not on here? Tell us what it is in the comments below. And remember to check out hundreds of the best London pubs on our database.